Technology always brings change and often replaces tasks, but over the long-term it creates jobs through growth and the new skills needed. Steve Brambley from GAMBICA, the Trade Association for Instrumentation, Control, Automation and Laboratory Technology in the UK, shares his thoughts on negative headlines and the often one-sided robot reports that only consider the potential job displacement but not the positive angle of jobs saved or created. 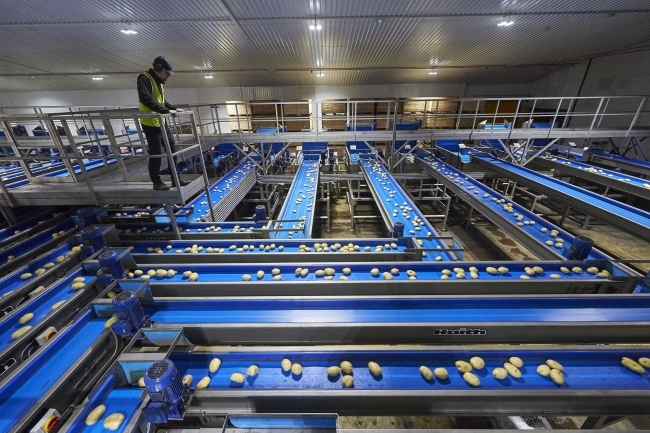 Branston, one of the UK’s largest potato suppliers, has announced the completion of a £6 million investment at its Lincoln site, installing a state-of-the-art grading system and WarmStor system, designed to improve the efficiency of grading and sizing the 2,500 tonnes of potatoes packed each week. Additionally, the newly installed WarmStor – a low-energy system to adjust the temperature of the potatoes to the optimum level for prepacking – significantly improves the way crops are handled through the packing process, enhancing the end quality and reducing waste. The Welsh Government has outlined a £310m package of financial support to drive up skills across Wales, with £260m of this for apprenticeships including those supporting the manufacturing and engineering sectors. The £260m will be invested over the next two years (£130m in each year) to support the Welsh Government’s commitment of creating 100,000 all-age apprenticeships over the life of this Assembly term. 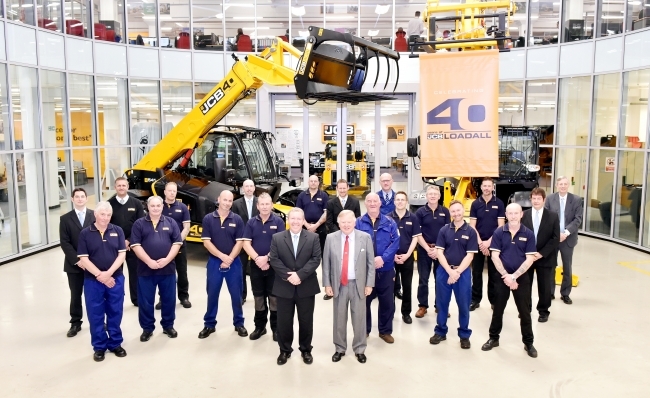 JCB is celebrating a major milestone in its long record of innovative machine design – the 40th anniversary of the Loadall telescopic handler. First launched in October 1977, JCB has sold more than 220,000 Loadalls to date, generating more than £7 billion in sales – £4.5 billion of which has been from exports. Today, daily output of JCB telehandlers at the World HQ in Staffordshire is currently at its highest level since the launch, with the number of machines built expected to increase by 25% by the end of the year compared to 2016. Such is the success of the product that one Loadall rolls off JCB’s Rocester production line every six minutes. The business making the machines today employs more than 1,200 people. 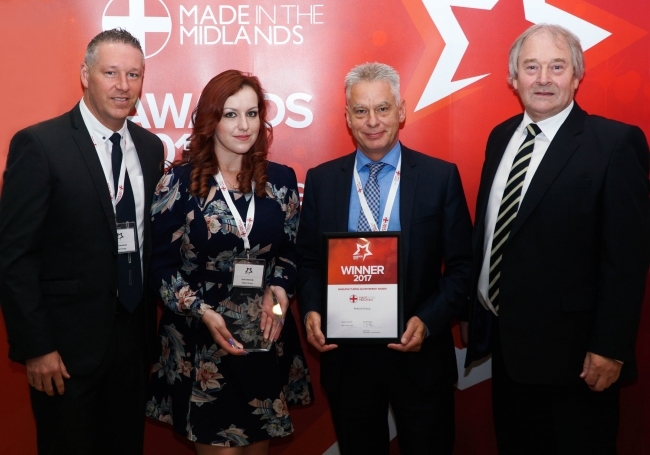 Toolmaking and injection moulding specialists Petford Group has been crowned Overall Winner of the official Made in the Midlands (MIM) Awards 2017 in front of over 200 delegates from Midlands industry. The firm received the award in recognition of their impressive £1.8million investment within a new moulding facility over the past 18 months, coupled with significant growth. The Bloodhound Super Sonic Car has conducted its first public runs. Using just the thrust of its jet engine, the vehicle raced to 210mph (340km/h) down the runway at Newquay Airport. More than 3,000 VIPs and supporters club members were in attendance to see the Eurofighter EJ200 jet engine take the vehicle from a standing start to 200mph in about eight seconds. Testing in Newquay these past few weeks makes the team believe the car can attain 650mph (1,050km/h) with just the EJ200. An opinion on Dyson’s recently announced plans to develop and build an electric car by 2020. The UK’s economy had higher than expected growth in the three months to September – increasing the chances of a rise in interest rates in November. Gross domestic product (GDP) for the quarter rose by 0.4%, compared with 0.3% in each of 2017’s first two quarters, according to latest Office for National Statistics figures. Economists said the figures were a green light for a rate rise next week. If it happens, it will be the first rise since 5 July 2007. Innovative technology is gaining momentum and is poised to transform the public sector, slashing costs and upgrading services. At this year’s Notting Hill Carnival, the Metropolitan Police used facial recognition technology for the first time. Cubic Transportation Systems, the company behind Transport for London’s ticketless Oyster system, is testing biometric and facial recognition systems for transport barriers. Forget touch and swipe. With this system you’ll just stroll straight through the barrier. Airport check-in too. This article looks at just a few of the latest and possible future uses of artificial intelligence (AI) in government.